Aimed at academics and librarians who are currently teaching undergraduate or graduate courses dealing with the history of books and printing, this course will emphasize not history but pedagogy. It will compare a number of different approaches, including (but not only) printing history as the history of technology, history of art, intellectual history, business history, descriptive and historical bibliography, the dissemination of texts and their reception. The course will consider the varieties of currently available print and (especially) non-print resources available to instructors and students in the field. This course will investigate different ways of thinking about, designing, and conducting a course on the history of the book. It is a course, not on the history of books and printing, but on the teaching of that subject. Three assumptions inform the plan of this course: (1) the current realities of pedagogy in the academy define the context in which such courses must be conceptualized and practiced; (2) the distinction between history of the book courses directed at undergraduate and graduate students is fundamental; and (3) the range of resources available for such courses is both large and – primarily as a result of the Web – growing. The first purpose will be the assessment of some of the strengths and weaknesses of differing approaches to the subject. The second purpose will be the investigation of resources available to teachers and students in this field. Rare Book School’s extensive collection of resources for teaching the history of the book will play an integral role in this course. The third purpose is to help teachers planning or already engaged in teaching history-of-books-and-printing courses to find additional techniques or approaches that may help such courses to be more productive and enjoyable for student and teacher alike. The intention is to consider the options and resources open to instructors – whether full- or part-time academics or librarians, or others – who are either currently engaged in teaching such a course, or who will begin doing so in the coming academic year. In their personal statement, applicants should describe the courses they are (or hope be) teaching. We encourage applicants to provide a sample course syllabus, whenever possible. Participants should plan to bring a laptop with them to class. Michael F. Suarez, S.J. teaches this course. Daniel Traister co-teaches this course with Ann R. Hawkins. Daniel Traister co-teaches this course with Terry Belanger. Daniel Traister co-teaches this course with Michael T. Ryan. Terry Belanger teaches a precursor course, "Developing Resources for Teaching the History of the Book." Michael F. Suarez, S.J. 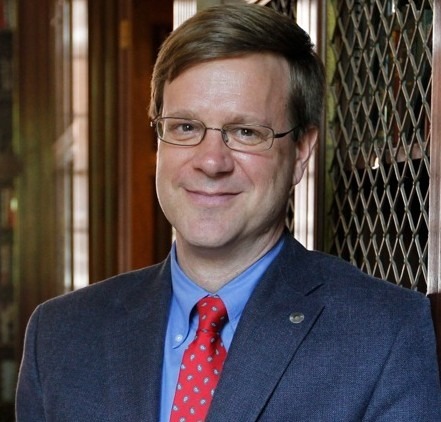 has served as Director of Rare Book School, Professor of English, University Professor, and Honorary Curator of Special Collections at the University of Virginia since 2009. He formerly held a joint appointment as J. A. Kavanaugh Professor of English at Fordham University and as Fellow and Tutor in English at Campion Hall, Oxford University. He received a D.Phil., M.St., and M.A./B.A. from Oxford University, an M.Th. and M.Div. from the Weston Jesuit School of Theology, and a B.A. from Bucknell University. He has written widely on various aspects of 18th-century English literature, bibliography, and book history, and has held research fellowships from the Radcliffe Institute for Advanced Study at Harvard University, the National Endowment for the Humanities, the American Council of Learned Societies, and the Folger Shakespeare Library. He is a CLIR Distinguished Presidential Fellow, a member of the Advisory Board of the Library of Congress Literacy Awards Program, the Council of the Bibliographical Society of America, and the Board of Managers of the Lewis Walpole Library at Yale University. Since 2010, he has served as Editor-in-Chief of Oxford Scholarly Editions Online. His recent books include The Cambridge History of the Book in Britain, Volume V, 1695–1830 (Cambridge University Press, 2009), co-edited with Michael Turner, and The Oxford Companion to the Book (Oxford University Press, 2010), a million-word reference work co-edited with H. R. Woudhuysen. The Book: A Global History, also co-edited with H. R. Woudhuysen, first appeared in 2013. In 2014, Oxford University Press published his edition of The Dublin Notebook, co-edited with Lesley Higgins, in the Collected Works of Gerard Manley Hopkins. He delivered the 2015 Lyell Lectures in Bibliography at the University of Oxford.